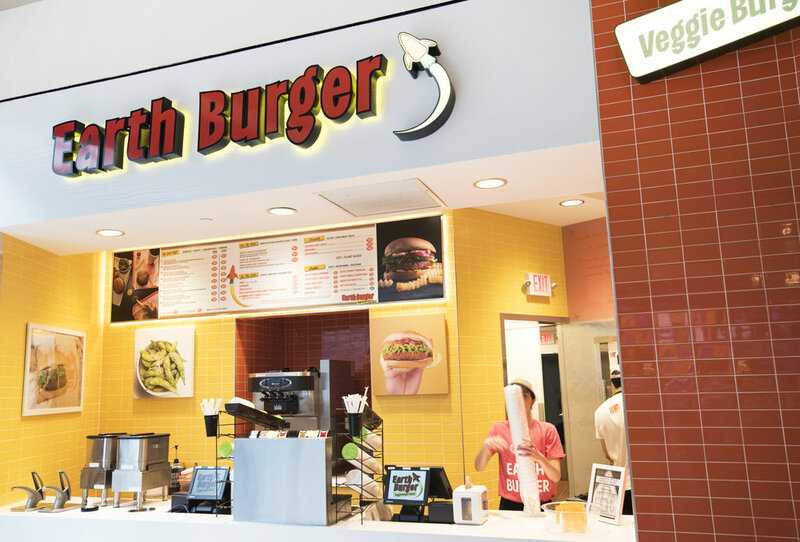 In August 2018, Earth Burger opened a location in the Mall of America in Bloomington, Minnesota. Wilkus Architects assisted with Construction Documents as well as coordination with the Mall of America through the design review process. Thanks to Schreiber Mullaney for the partnership on this project! Earth Burger launched in 2014, and now has three locations open — Two in Texas, and one in Minnesota. Its mission is to be one of the first plant-based drive-thrus in the nation with a healthy take on fast food. Per the Earth Burger website: "Earth Burger is taking over the fast food market with tastier, fresher, and healthier alternatives that also happen to be vegan. Earth Burger’s goal is to provide people with great healthy choices at a great value, while at the same time doing something better for the planet."